Sometimes one goes to the market and is enamored of a new ingredient. 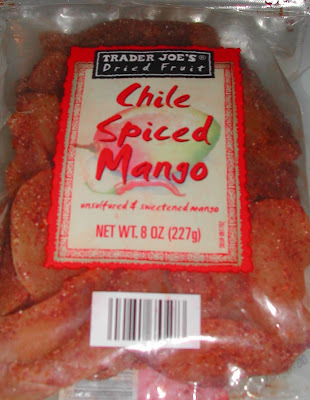 That is what happened when I saw these chile spiced mangos. I immediately bought them, ignoring the fact that I am not a big mango person. After about a couple of months the bag of chile spiced mango was still staring at me. I had not a clue what to do with it. I had originally thought that I would add them to a cake. I began thinking about this cake. 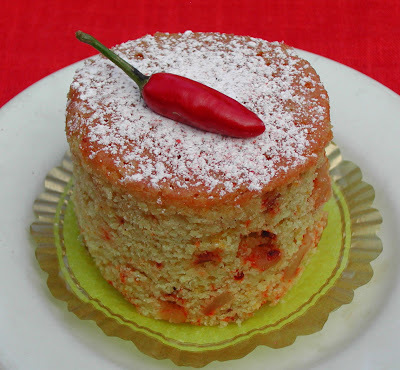 It needed to be substantial to stand up to the chile spiced mango, so I thought of an olive oil cake. Then I thought that a bit of corn meal would be a great counterpoint to the spice. So I went to work. In a large bowl whisk the flour, corn meal, baking powder, baking soda and salt to mix. I mixed a teaspoon of chile powder and 1/4 cup of 10X and sprinkled the top to dress it up a bit. 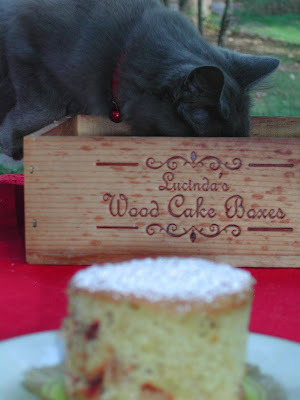 As I was trying to take a photo, my picture was interrupted by Teddy who was on the prowl for some leftover cake. Teddy loves anything made with cornmeal and this cake was no different. A profound love of cornmeal happens when you are raised by chickens and Southerners! i love trader joes -i've gotten these mangos and kept them at work as a midday snack (I'm not much of a sweets person). 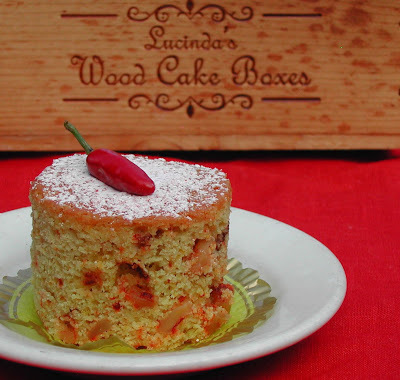 This cake sounds delicious though and I need to try it with the next batch I get!